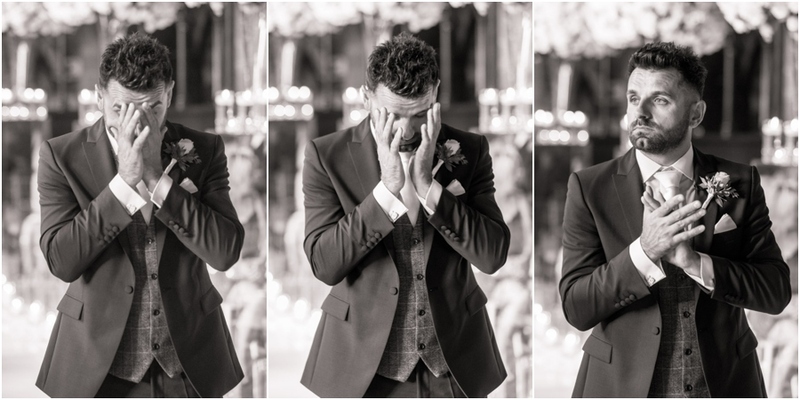 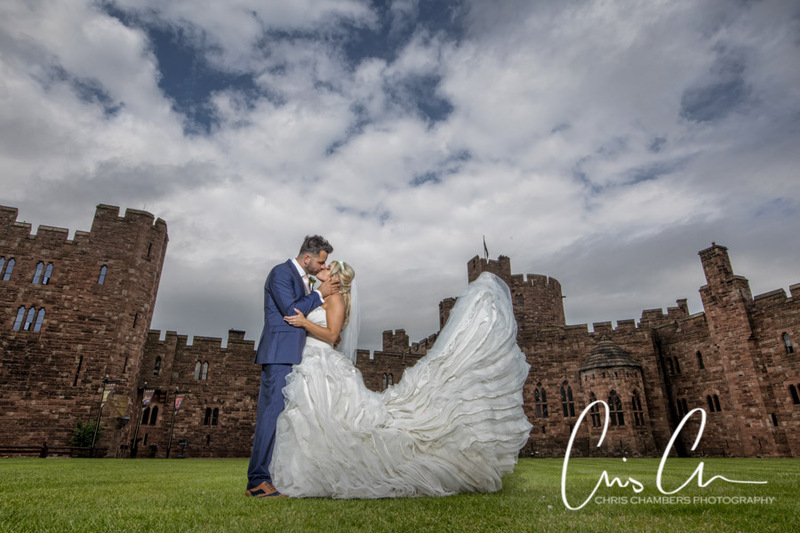 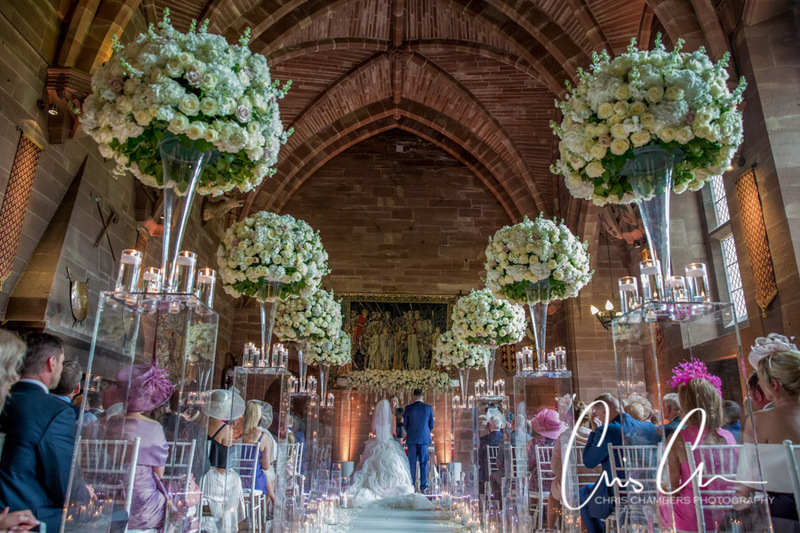 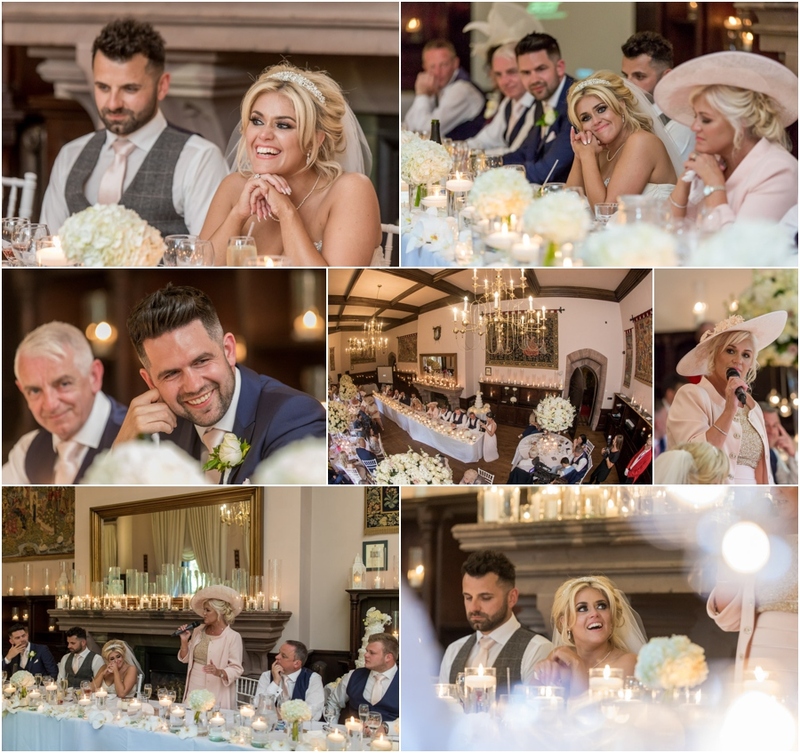 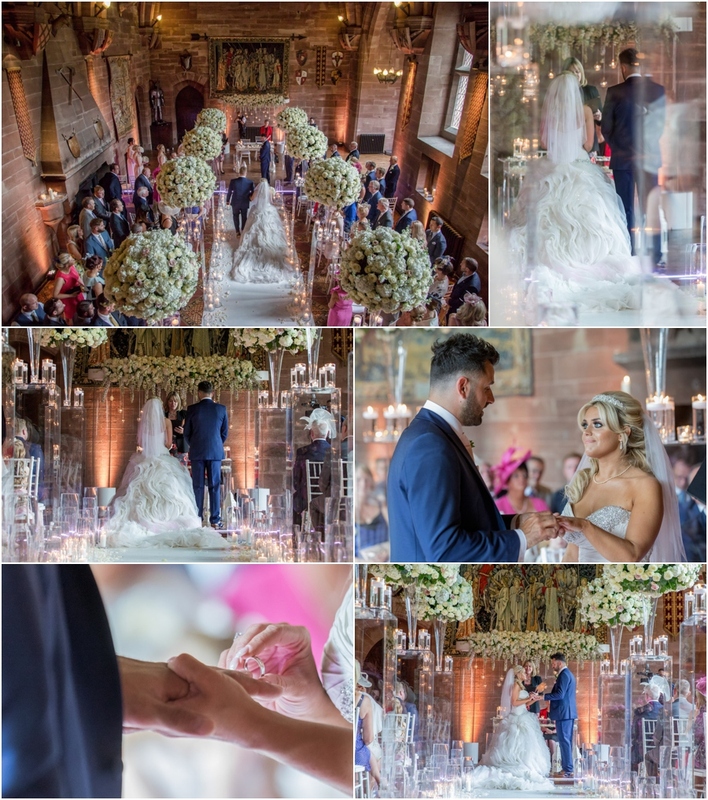 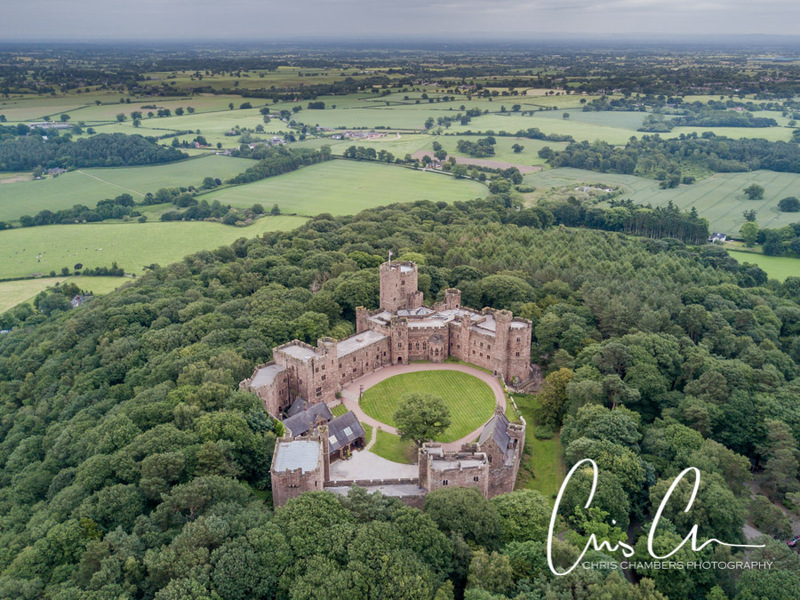 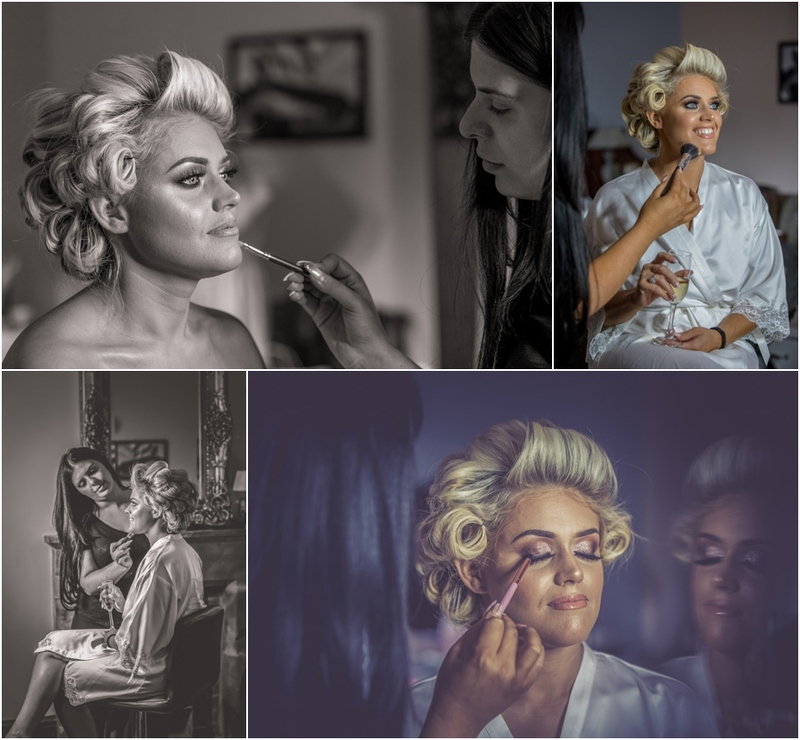 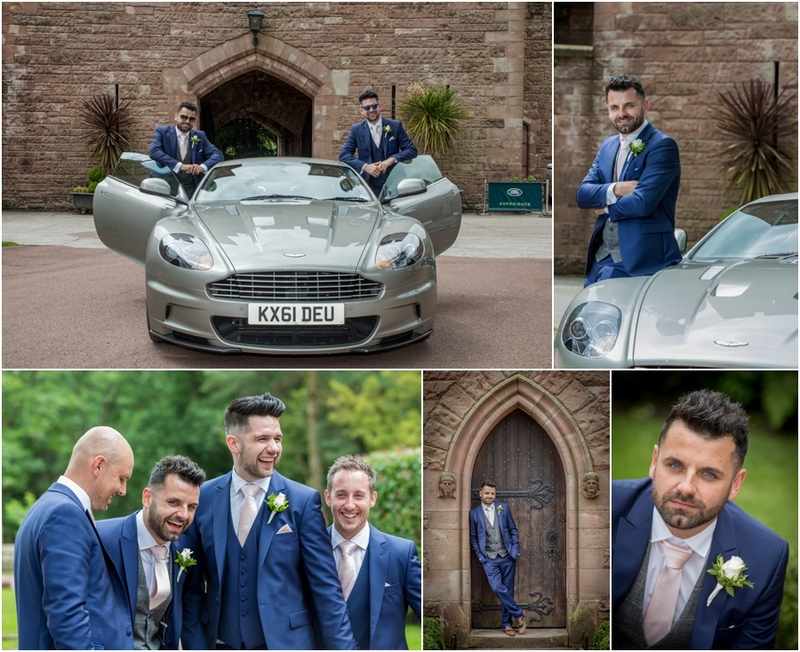 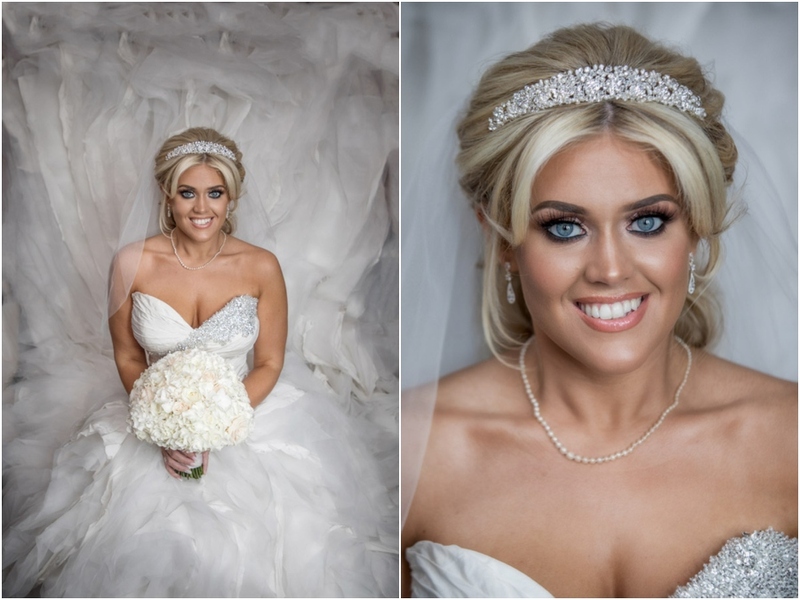 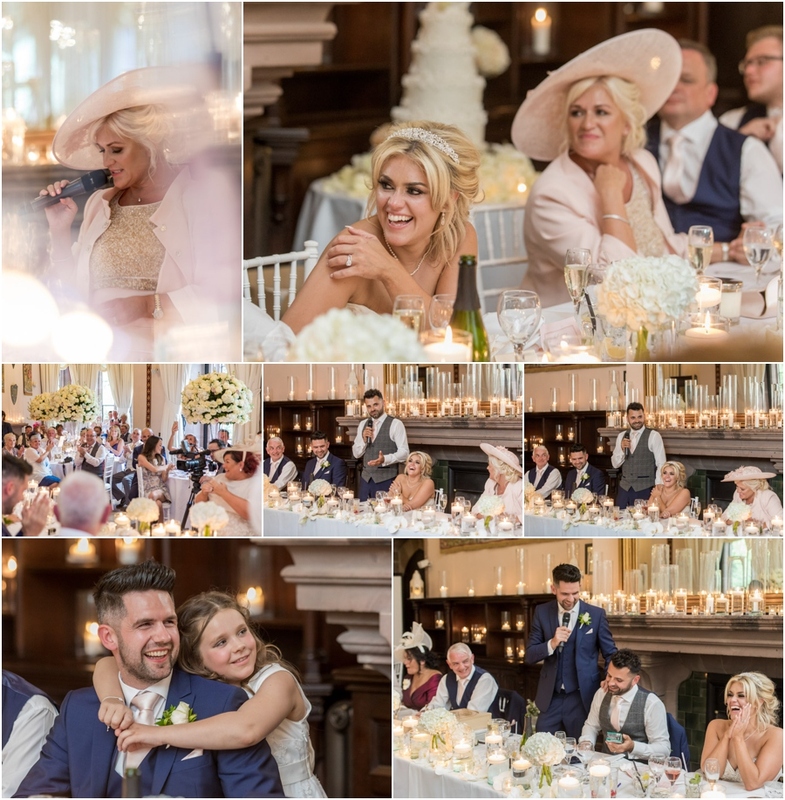 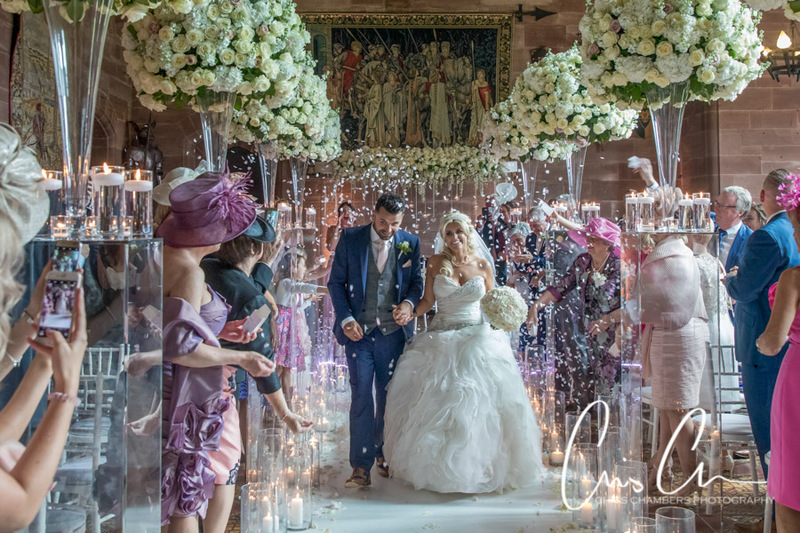 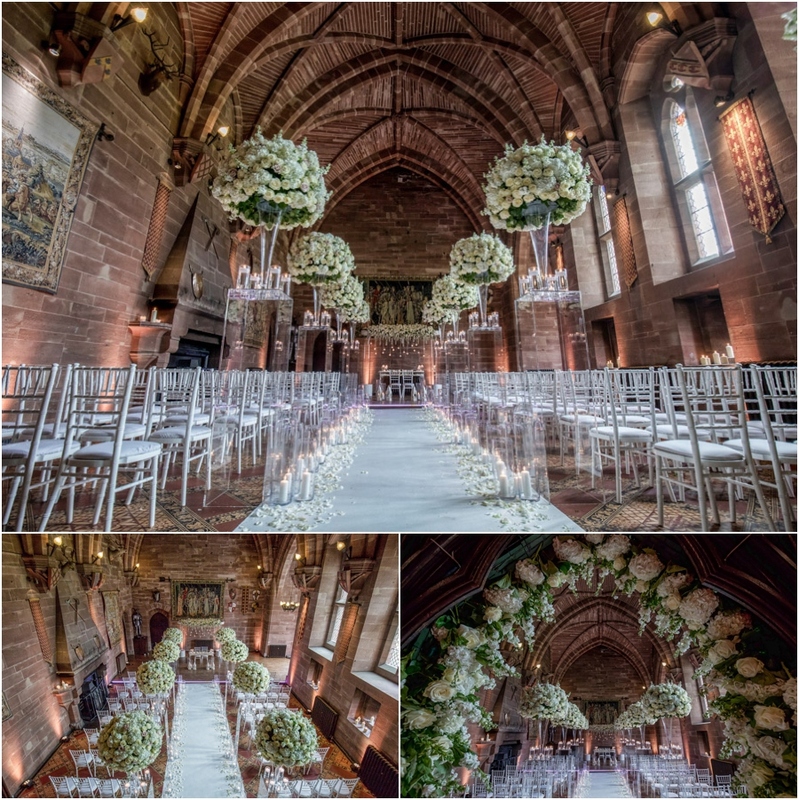 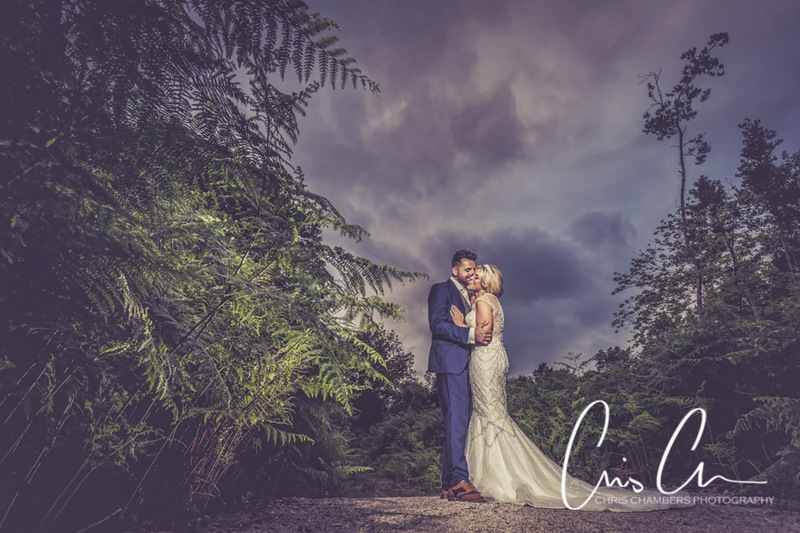 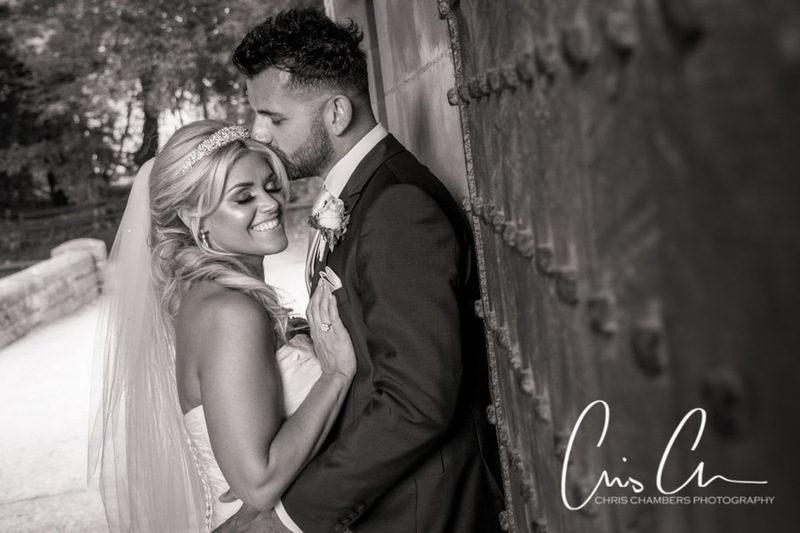 Dan and Leanne were married earlier this year at Peckforton Castle in Cheshire. 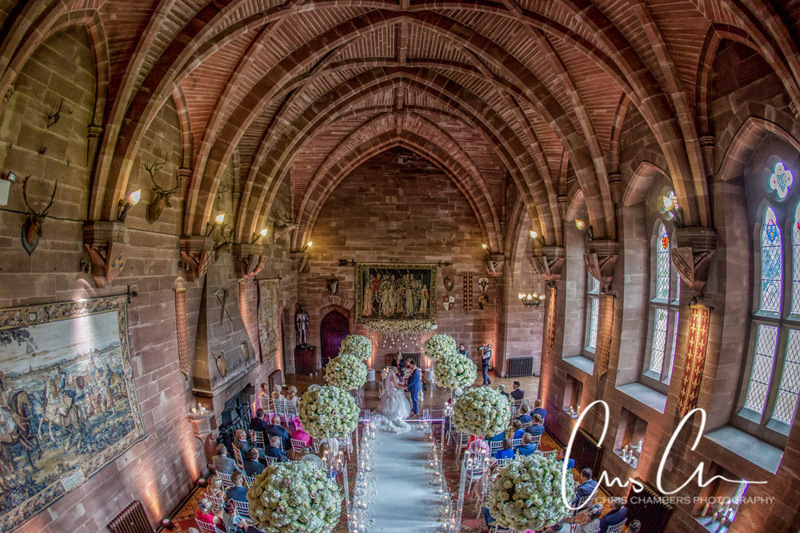 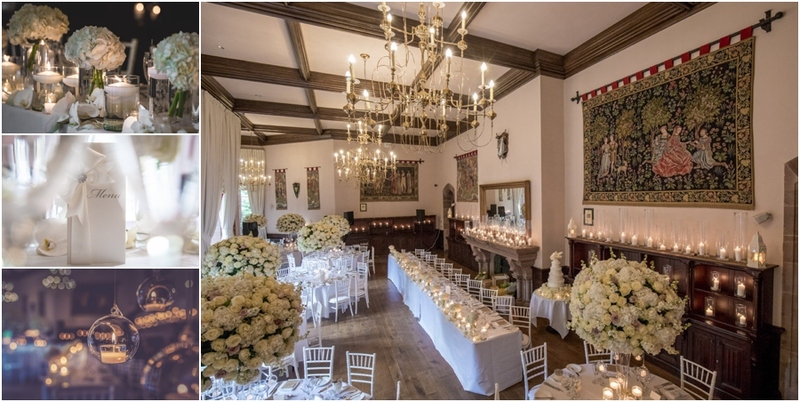 The stunning castle wedding venue boasts amazing interiors, architecture, grounds and so so many photo locations. 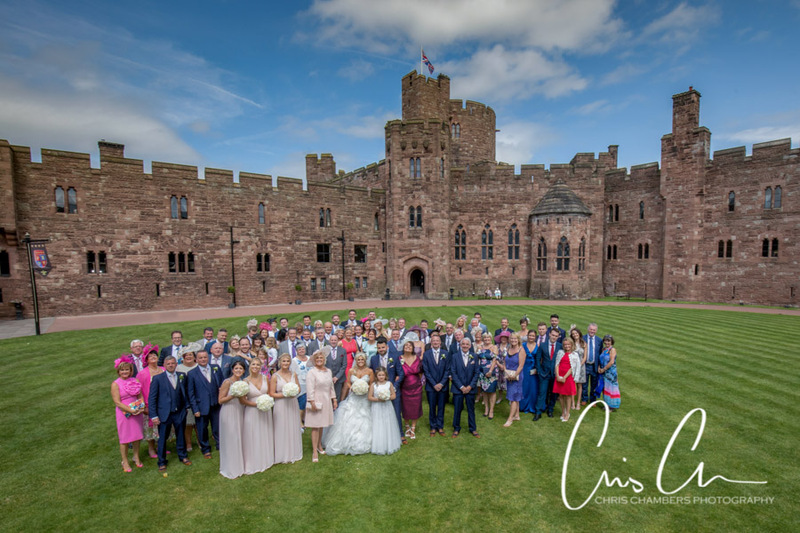 Dan and Leanne chose a civil wedding ceremony which took place in the Great Hall before drinks reception on the courtyard lawns. 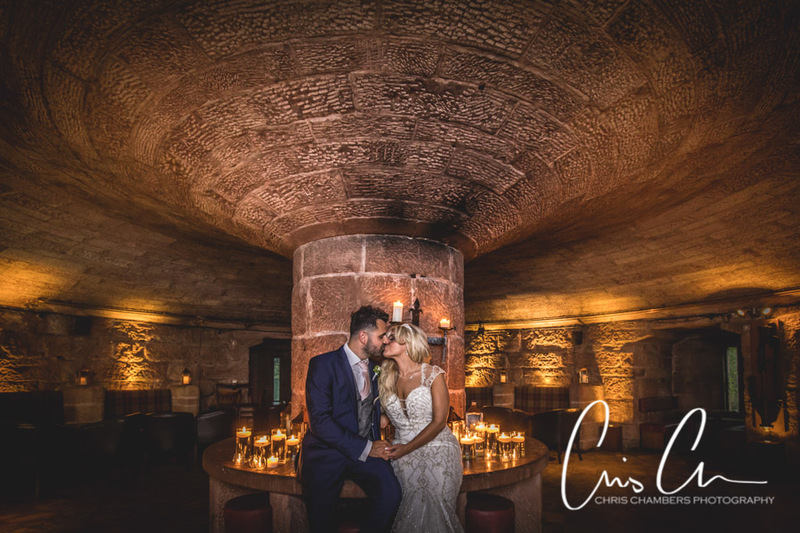 Following wedding breakfast and speeches Leanne changed dress for the evening reception and dancing, following first dance we were able to sneak away with them for a few photographs in the Wine Cellar and then outside as darkness fell. 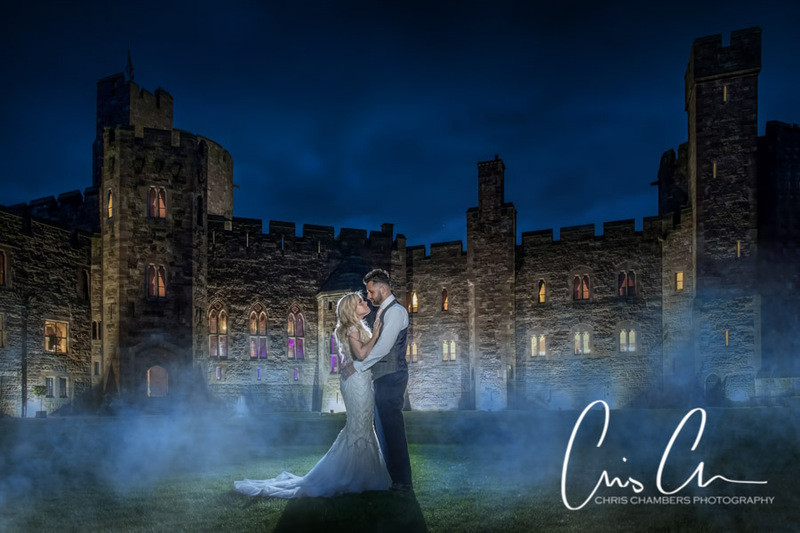 The illuminated castle making the perfect backdrop for their end of album wedding photographs. 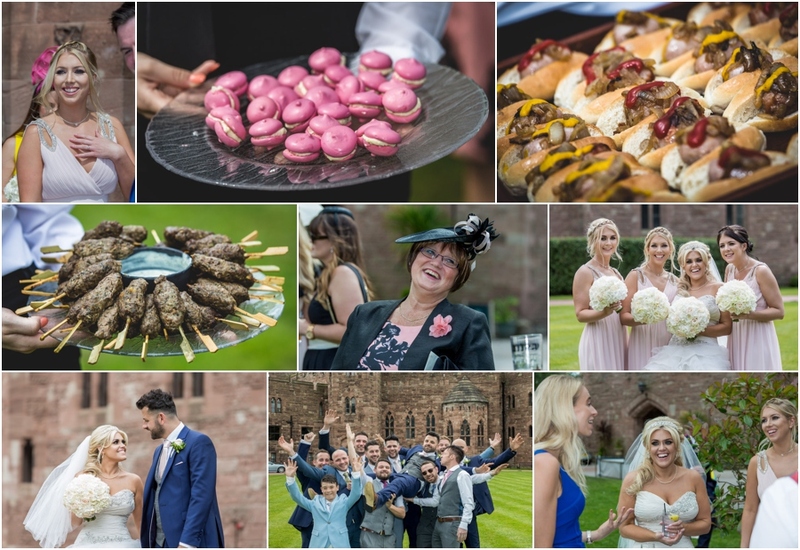 The following wedding photographs include many of those we played on the large screen slideshow during the evening reception. 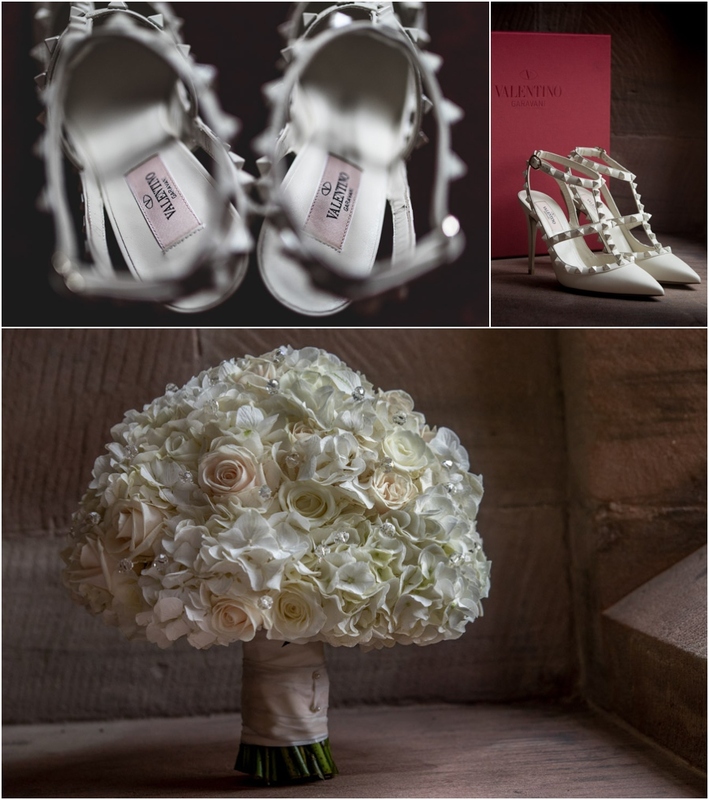 For more details about this and our wedding packages please click here. 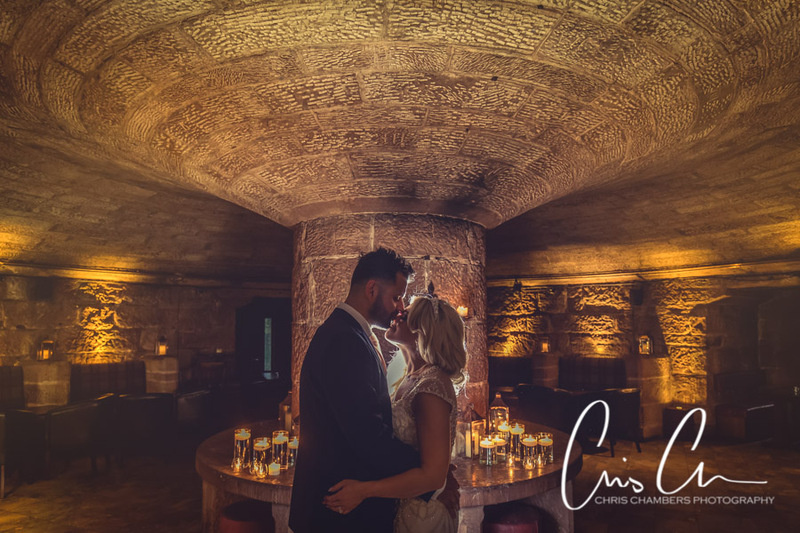 The Wine Cellar just before sunset, the small intimate room adds a certain charm to the wedding photographs.